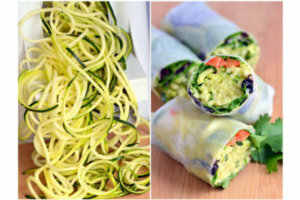 Zoodles may not be super low carb and you may not be able to work them into your keto diet on a daily basis. 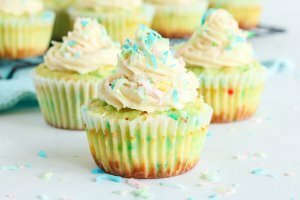 They are low carb and they are super versatile. Do a general internet search for zucchini recipes and you’ll see just how popular this humble vegetable is. 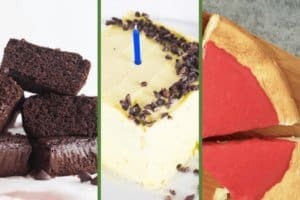 If you are looking for more zucchini recipes, you’ll want to check out our 31 easy keto zucchini recipe roundup. Or if you don’t have a spiralizer yet and want some advice on how to choose the right one for you, then this is where you’d want to go. If like me, you love to look at how a recipe comes together - then follow along. 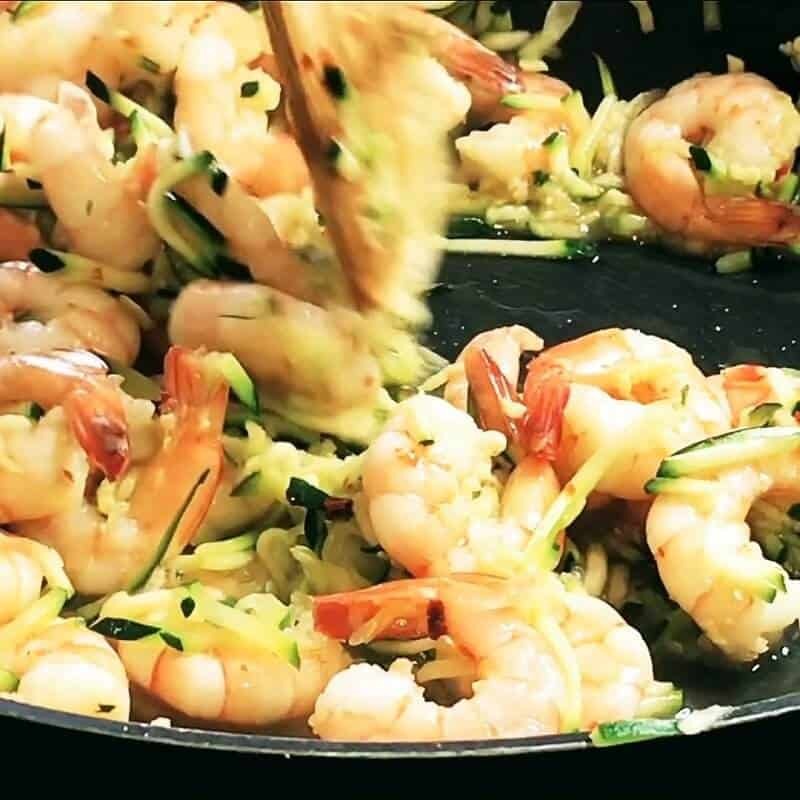 Gently fry the shrimp and zucchini until warmed through. 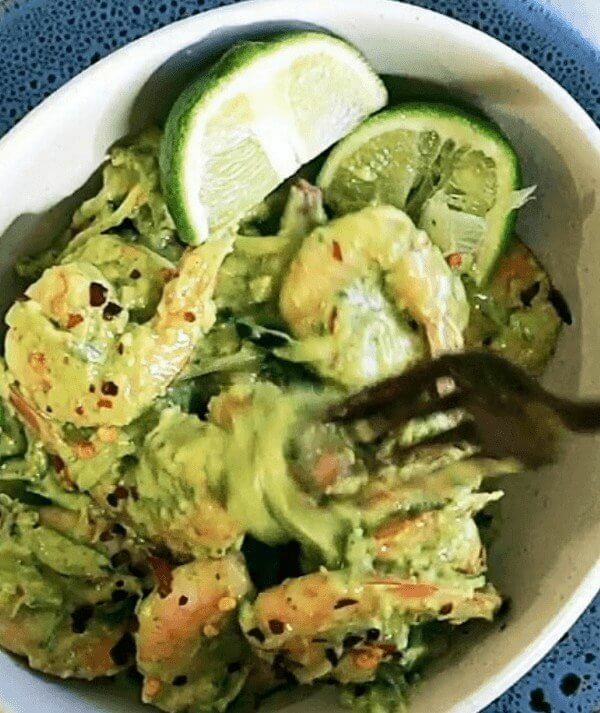 I love the richness and the zingyness of the pesto combined with the lightness of the shrimp and zucchini. It is a super quick lunch or dinner perfect for a late summer day when you have an abundance of zucchini in your garden. 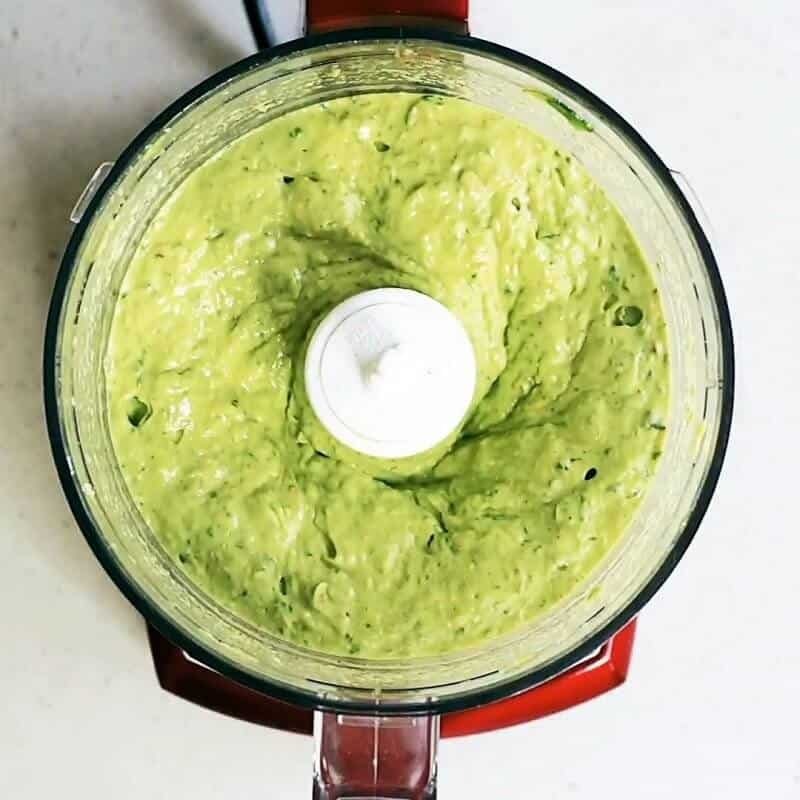 Start out with the pesto by adding all the pesto ingredients into your food processor and blend until smooth. Then warm a skillet and add the olive oil or your cooking oil of choice. 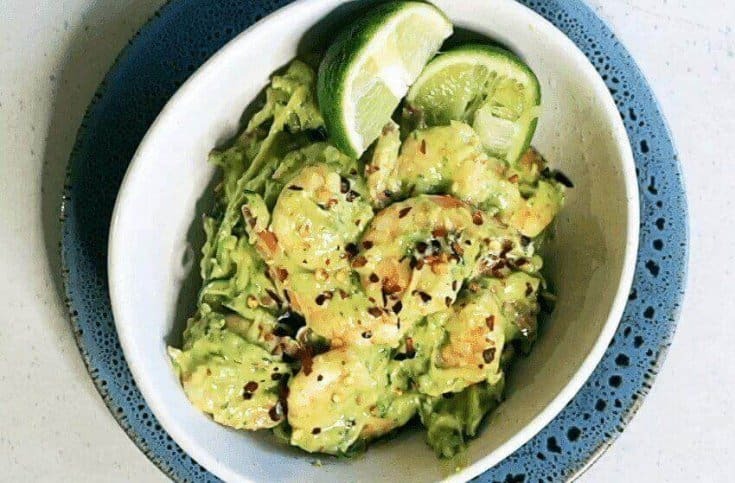 When your skillet reaches medium heat, add the cooked shrimp, the lime juice and the chili flakes and gently heat through. 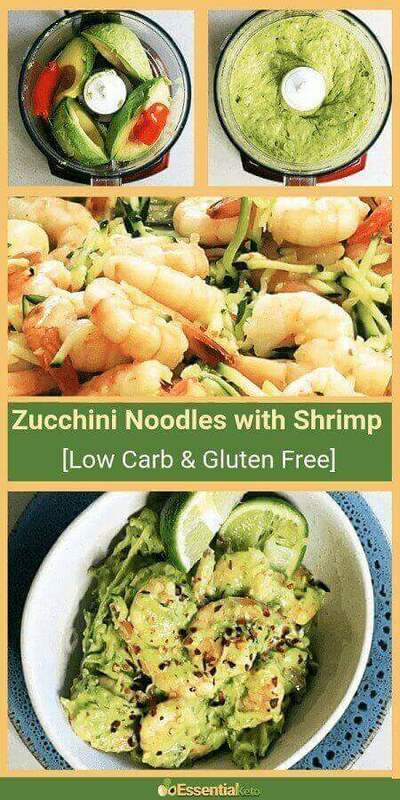 Add spiralized zucchini and saute for 2 to 3 minutes. 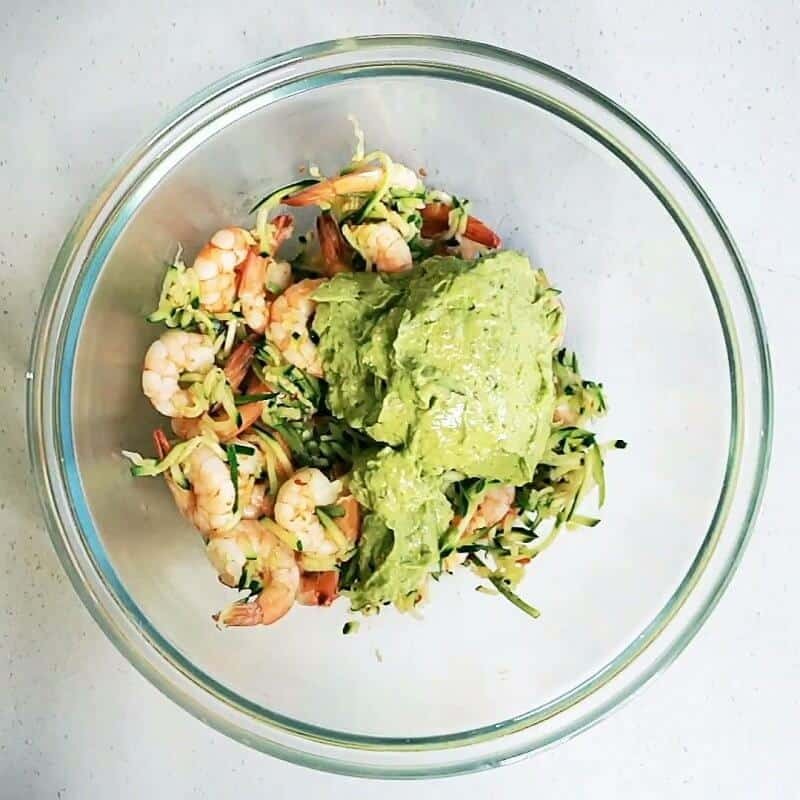 Add the shrimp zoodles into a big bowl. Add the pesto the and gently combine. Serve in a small bowl topped with a pinch of chili flakes and a squeeze of lime juice. 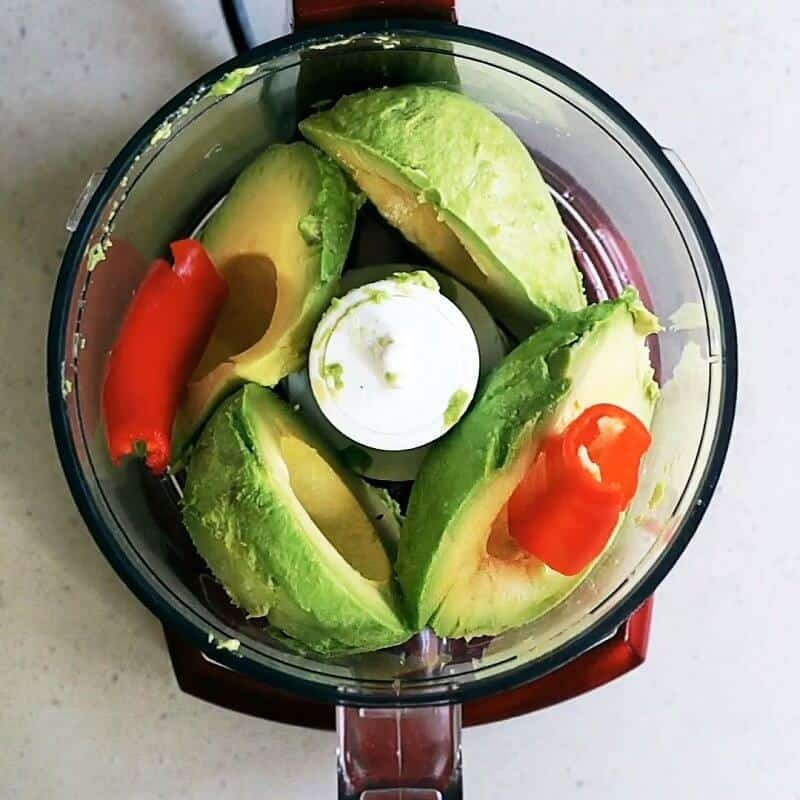 If you'd like to lower the net carbs a little, you can use 1 avocado for 2 servings rather than 2 avocados. The majority of the carbs are from the zucchini. So if you'd want you can use a medium zucchini rather than a large one, but then the portion gets a bit small.